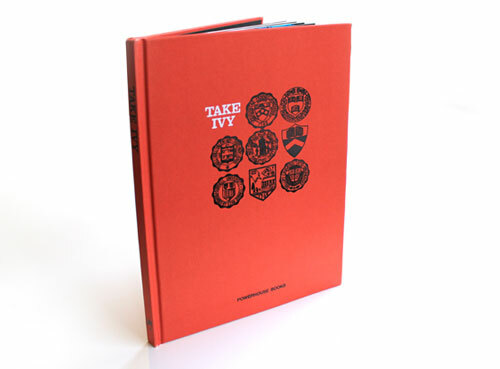 Take Ivy is a now legendary book which only became available in English translation in September 2010. 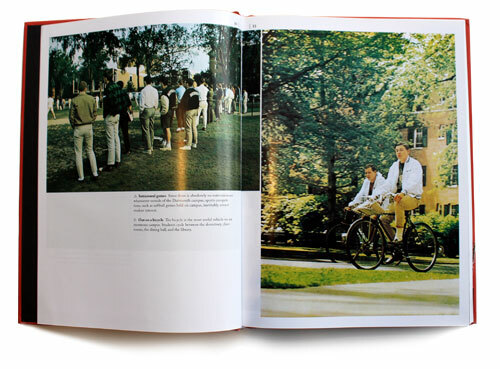 The book is a study by four Japanese style enthusiasts, enamoured with the Ivy League universities of the US east coast. It is a wonderful snapshot in time – 1965 to be precise – which captures the spirit of the 60s, when formal traditions were starting to break down and babyboomers started to shape society in their own image. The title takes it cue from Dave Brubeck’s Take Five, a hint at the ongoing link between Ivy Style and jazz. What makes Take Ivy more enlightening, and such a great record, is that it is an outsider’s view of the Ivy League world. Every tradition, social convention, and sartorial quirk is put under the scrutiny of the Japanese authors. 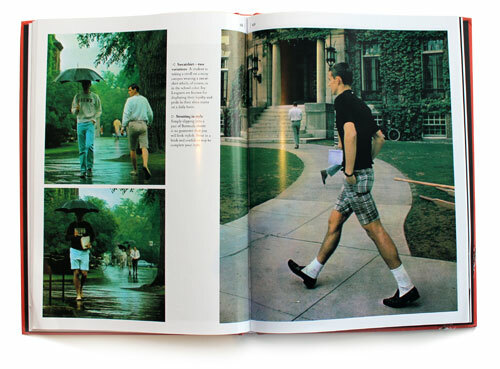 There are even lists of suggested attire published by the universities reproduced at the back of the book, along with studies of the various shops in New York where one can purchase the wardrobe staples of an Ivy Leaguer, including Brooks Brothers and J.Press. The thing that strikes me most about the photographs in the book (of which there are many, both colour and black and white) is the timelessness of the style. One shot in particular of a rowing crew outside a boathouse could have been taken yesterday, with their hooded sweaters and Converse high-tops. 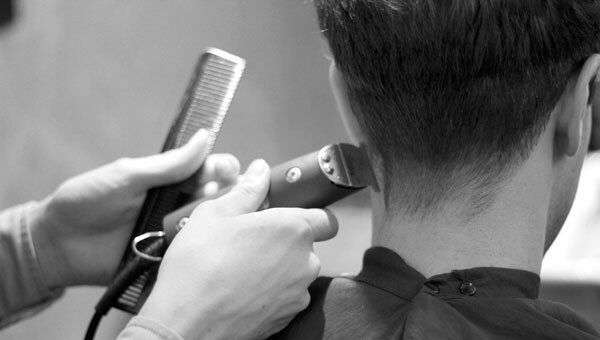 Some traditionalists insist that by 1965 true Ivy League style had lapsed and become too informal but to me this is where the style sits best – relaxed, at ease with itself, not a uniform but clothes to live in. 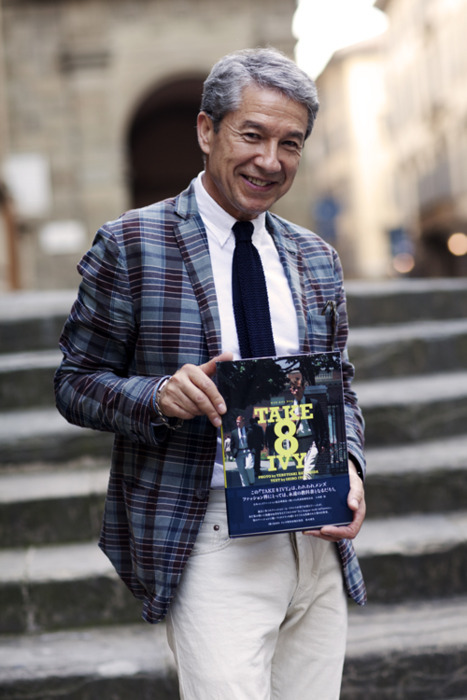 Take Ivy is a must-have for anyone interested in menswear, it has influenced many menswear collections over the years. What was once a well guarded secret amongst designers, a rare Japanese book that went for $2000 at auction, is now available for all to enjoy for just a few pounds.